This post will help you to determine how to size a photovoltaic (PV) system. By calculating the power, current, and voltage output required, the size and the number of photovoltaic panels can be estimated. Also, the voltage and current requirements will determine how the solar panels in the array are connected to each other. First, we will calculate the electrical current from an individual panel and understand exactly what these values mean. Then, we will look at how multiple panels can be connected in a solar array, and how to calculate the current, voltage, and power output from the entire solar array. 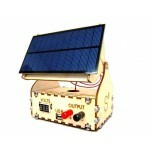 The maximum electrical current, voltage, and power output generated by a solar panel are specified by the manufacturer. The values quoted by the manufacturer are measured under standard test conditions (STC). This is an important consideration if the PV panels will be used at conditions other than STC. The temperature of a panel at STC is about 77 °F, and the solar irradiance incident (the power per unit area received from the Sun) on a panel at STC is 1000 watts per square meter (W/m2). 1) Maximum power point (MPP): The MPP conveys the largest power output in watts that can be produced by a solar panel at STC. 2) Voltage and current at the MPP: The voltage and current at MPP displays the amount of electricity supplied by the panel at STC. 3) Open-circuit voltage and short-circuit current: The open-circuit voltage and short-circuit current are important for testing, troubleshooting, and determining the power output at MPP, but do not occur when the panel is in operating. 4) Temperature coefficient: The temperature coefficient explains how the power output is affected by changes in the temperature of the solar panel. The temperatures that the system will be exposed to should be considered when designing a photovoltaic system. 5) Power conversion efficiency: The efficiency of the system to convert solar energy to electrical energy. Now that we know the types of specifications provided by the manufacturer, we will examine how to connect multiple solar panels to create a solar array. The connections required between multiple panels in an array depends upon the power requirements of the system. For example, you may require low voltage with high current, or high voltage with low current. The exact voltage and current requirements will depend on the configuration and balance of system components used in the photovoltaic system. 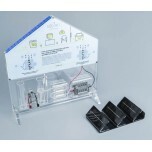 For example, a charge collector and battery bank in an off-grid system may require 24 V; therefore, the solar array needs to be designed to satisfy this requirement. Solar panels can be connected in series, in parallel, or in a combination of series and parallel. Each panel outputs a specific voltage and current, and the total voltage and total current supplied by the solar array depends upon how the panels are connected. We will first examine the PV system when multiple panels are connected in series, and then we will examine the PV system when multiple panels are connected in parallel. Lastly, we will examine several series and parallel connections. Let’s assume that we want to connect multiple panels in series and each panel produces the same voltage and current. When panels are connected in series, the positive lead of one panel connects to the negative lead of the next panel. 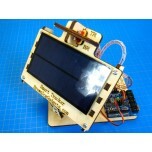 Suppose that each panel generates 10 V output voltage and 1 A output current. When the panels are connected in series, the voltages are added together, but the current remains the same. If a multimeter is used to measure the total voltage between the positive and negative terminals at the ends of the panels, the measurement would be 20 V. If the total current is measured, it would read 1 A. This array of two panels can supply 20 V of electricity, a total current of 1 A, and a total power output of 20 W. The total power output is just the total voltage multiplied by the total current, or 20 W. This principle extends to any number of panels connected in series. For example, if we connect 12 of these panels in series, we would have a total voltage of 120 V, a total current of 1 A, and total power output of 120 W.
Now suppose that we have the same two panels and connect them in parallel. When panels are connected in parallel, the positive lead of one panel connects to the positive lead of the next panel. When we connect the panels in parallel, the currents are additive, but the voltage does not change. If the total voltage and current are measured in this array, we would find that this array of two panels can supply 10 V of electricity, a total current of 2 A, and a total power output of 20 W. Similar to the panels in series, this principle extends to any number of panels connected in parallel. For example, if we connect 12 of these panels in series, we would have a total voltage of 10 V, a total current of 12 A, and a total power output of 120 W.
Now that we have illustrated series and parallel connections in solar cells, a combination of series and parallel can be explored. Suppose we connect two of the series circuits in parallel using the specifications from the panels in the previous examples, where each cell generates 10 V and 1 A. The voltages will be added for each pair of panels in series; therefore, the pair of panels will generate 20 V and 1 A. If we take two of these pairs and connect them in parallel, the currents are additive, and the total voltage and current from the four panels will be 20 V and 2 A. This array would supply a total voltage of 20 V and a total current of 2 A. The total power output is the total current multiplied by the total voltage, so the total power output is 40 W. Joining multiple panels in combinations of series and parallel connections allow the designer to increase or decrease the total voltage and current of the entire array. We could extend this theory to any number of panels connected in combinations of series and parallel. For example, if we have three groups of panels that we want to connect in parallel, and each group consists of four panels in series, we can use the same rules to calculate how much power we would generate. Each group of four panels in series would generate 40 V and 1 A. When these groups are connected in parallel, the three groups together generate a total voltage of 40 V and a total current of 3 A. The total power output for the entire array is the total voltage multiplied by the total current, or 120 W for this example. The total power output in the examples provided thus far are equal to the power output from each panel (in this case, 10 W per panel) multiplied by the number of panels. For example, if we have 15 panels that each generate 50 W of power, the total power output is 15 x 50 W = 750 W. Now that we can estimate the power output when multiple panels are connected, we can determine how many panels we would need to power the average American home. The average American home uses about 10,000,000 watt-hours of energy per year. This is equivalent to using an average of 2800 W of power at all times. Some solar panels can supply approximately 300 W per panel when they are operating at MPP and STC. If we want to supply 2800 W of power to a home, we can calculate the number of panels that we would need to supply this much power. 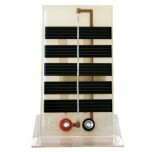 This can be found by taking the total power required to supply 2800 W and dividing it by the power per panel (300 W). The calculation predicts that we would need 10 panels to supply at least 2800 W to a home using a solar array. The method used to connect these 10 panels will depend on the requirements of the balance of system components. Charge collectors in off-grid systems are rated for a maximum input voltage of hundreds of volts, but the manufacturer may recommend that they be supplied with about half this voltage. If a charge collector recommends that the total voltage of the solar array does not exceed 100 V, the 10 panels will need to be connected so that the maximum total voltage generated by the solar array is significantly lower than 100 V. Because the solar irradiance on the solar array does not remain the same at all times, the solar array used in this example will generate much less than the rated voltage. Obviously, the actual amount of electricity that is generated, and therefore the output voltage, depends on the time of day, the climate, latitude, and the weather in the local area. In this post, we learned about the manufacturer’s specifications for power output, current, and voltage. We looked at how multiple panels can be connected together with an identical electrical output to build a solar array. In reality, the current and voltage generated from different solar panels are not exactly the same. When we have panels in series that produce different voltages and currents, the rules that we saw in this post may change slightly. In reality, the calculations must include many additional factors, including the balance of system components, the time of day, the climate, latitude, and the weather in the local area. Dr. Colleen Spiegel is a mathematical modeling and technical writing consultant (President of SEMSCIO) and Professor holding a Ph.D. and an MSc degree in Engineering. She has seventeen years of experience in engineering, statistics, data science, research & technical writing work for many companies as a consultant, employee, and independent business owner. She is the author of ‘Designing and Building Fuel Cells’ (McGraw-Hill, 2007) and ‘PEM Fuel Cell Modeling and Simulation Using MATLAB’ (Elsevier Science, 2008). She previously owned Clean Fuel Cell Energy, LLC, which was a fuel cell organization that served scientists, engineers, and professors world-wide. 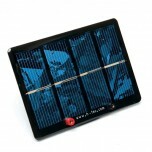 0 Comments To "Photovoltaic System Sizing"